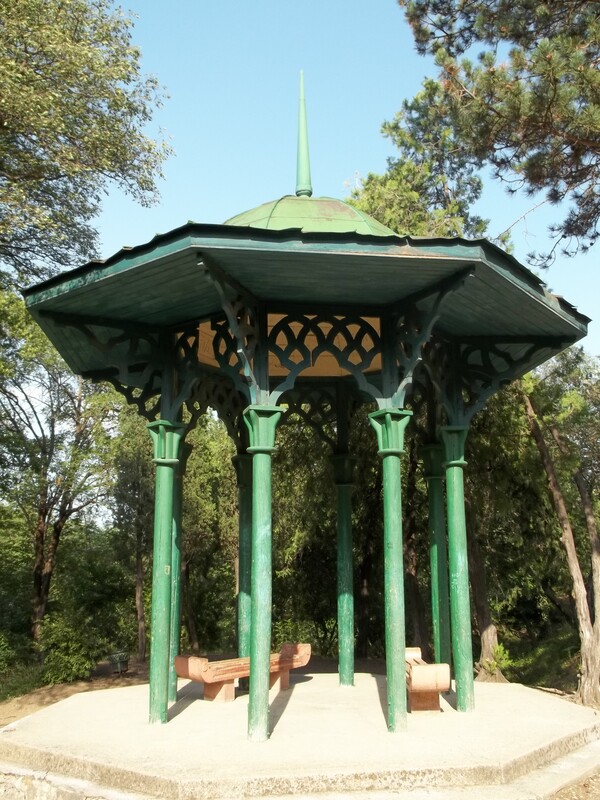 The National Botanical Garden of Georgia (Georgian: საქართველოს ეროვნული ბოტანიკური ბაღი), formerly the Tbilisi Botanical Garden (თბილისის ბოტანიკური ბაღი), is a research, cultural-educational and nature conservation institution in Georgia. 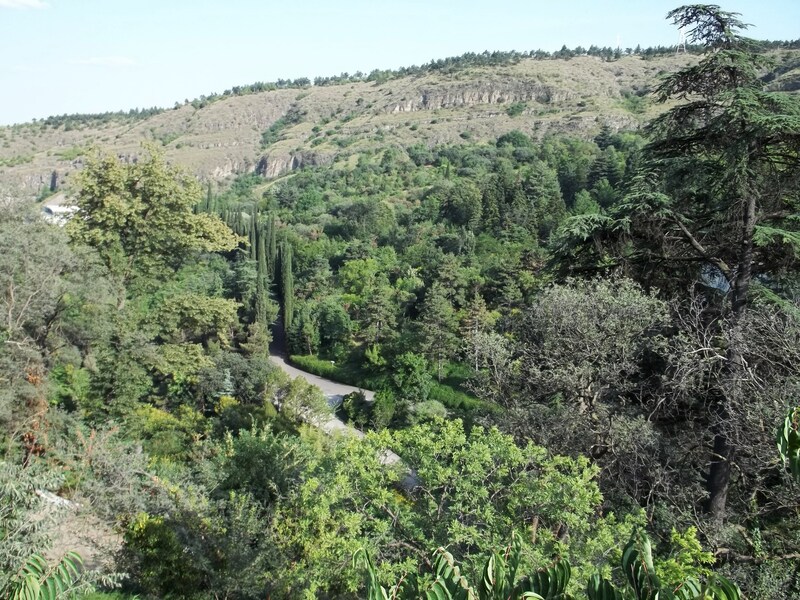 Located in the foothills of Narikala Castle in Tbilisi, it occupies an area of 161 hectares and possesses a collection of over 4,500 plant groups. 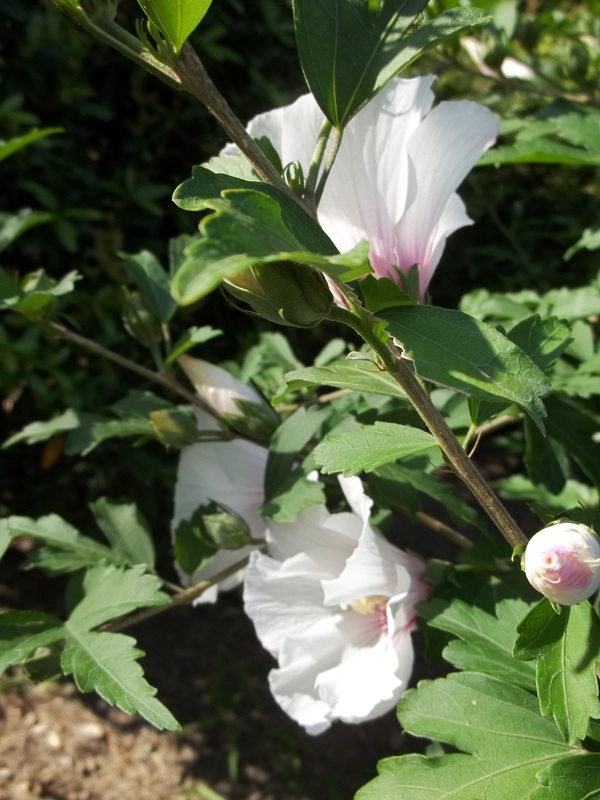 The Garden’s collection contains flora from the Caucasus region, China , the Himalayas, Japan, North America , Turkey, Siberia and the Mediterranean. 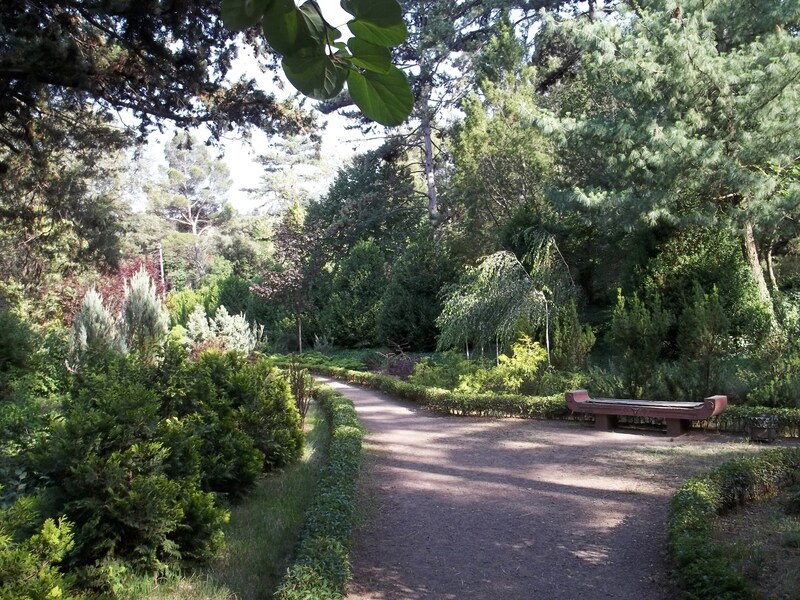 The Garden’s history spans more than three centuries. It was first described in 1671 by the French traveler Jean Chardin and is thought to have been founded as a royal garden in 1625. 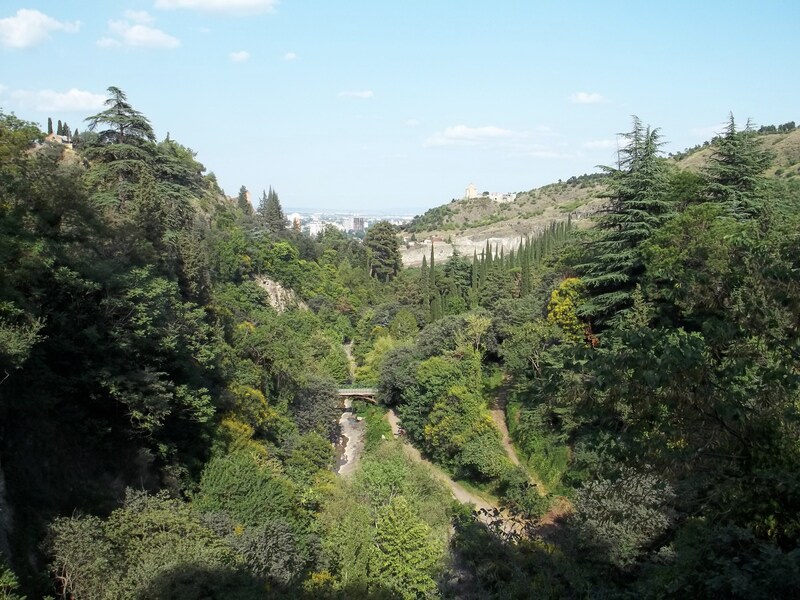 The gardens were pillaged during the Persian invasion of 1795 but restored in the early 19th century and officially established as the Tiflis Botanical Garden in 1845. 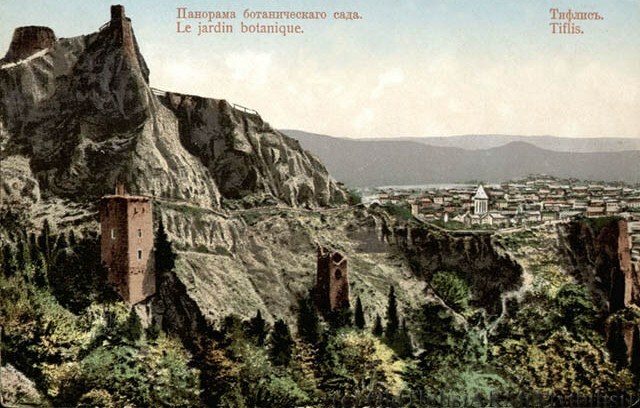 The main entrance to the Garden is located at the foothills of the Narikala Fortress at 1, Botanikuri St. in the Old Town. The Tsavkisistskali river divides the Garden and several bridges were constructed to connect the two parts. 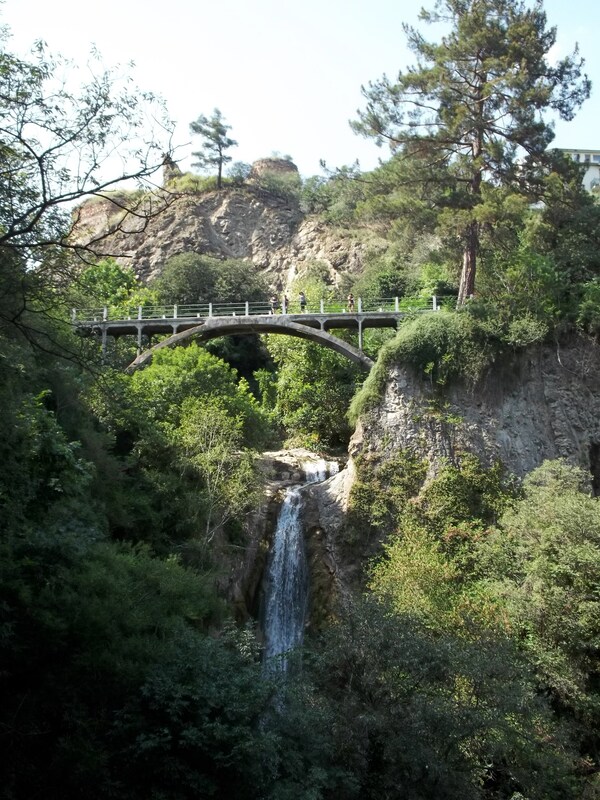 One of the bridges spans a waterfall and was built in 1914. The views of the Garden from the bridge are spectacular. There is also a separate viewing point to one side of the bridge. 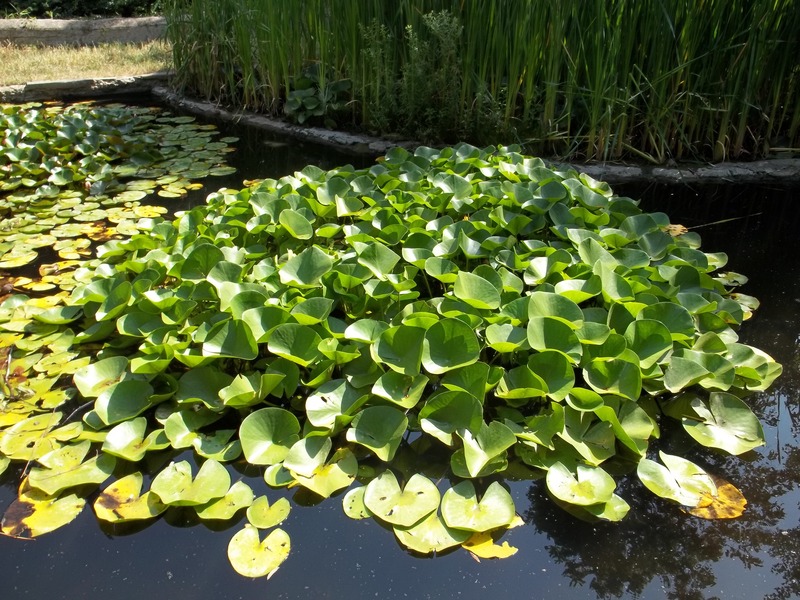 The garden provides a cooler environment than the surrounding city in the hottest months of the year (July and August), making it a popular place to visit during the summer. 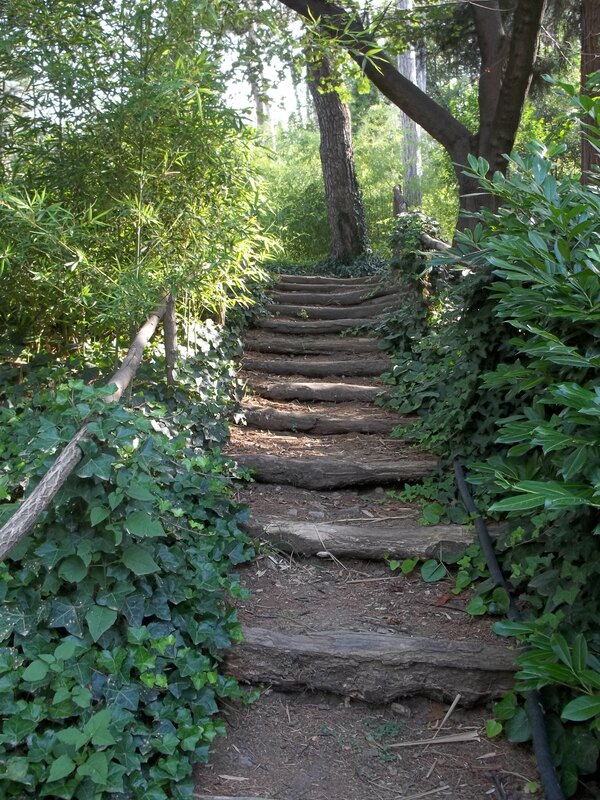 If you intend to fully explore the Garden be prepared for a long walk. Sensible shoes are recommended. 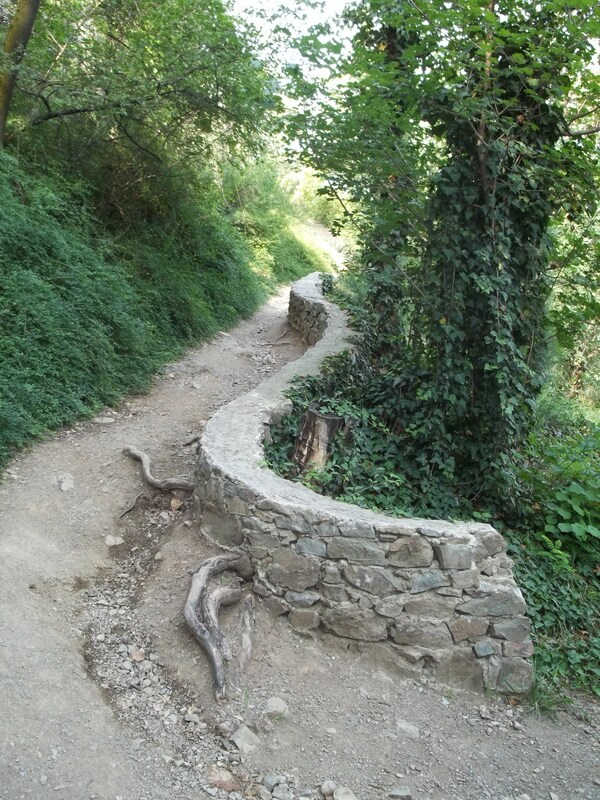 Some of the paths are natural and have been eroded by the elements. Steps connect the different levels. 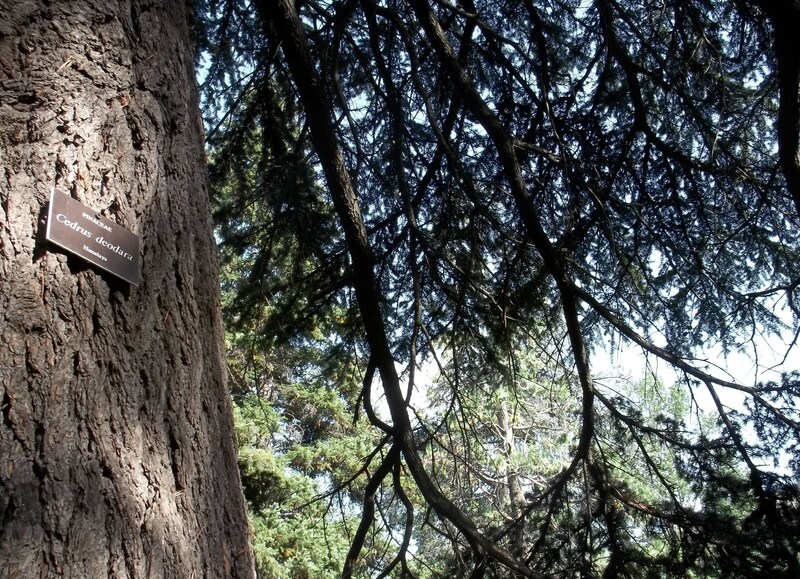 These are often made of natural materials and care should be taken when ascending and descending. 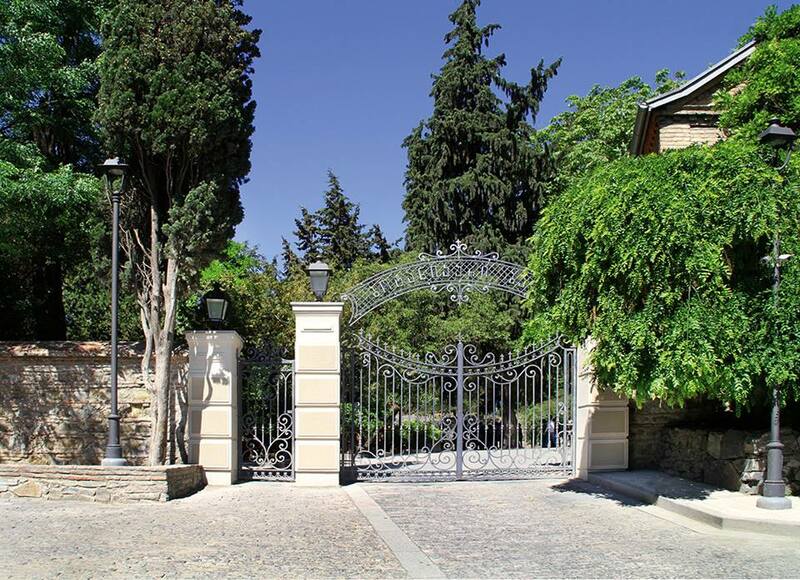 How to get there: The main entrance to the Garden is at 1, Botanikuri St. in the Old Town. 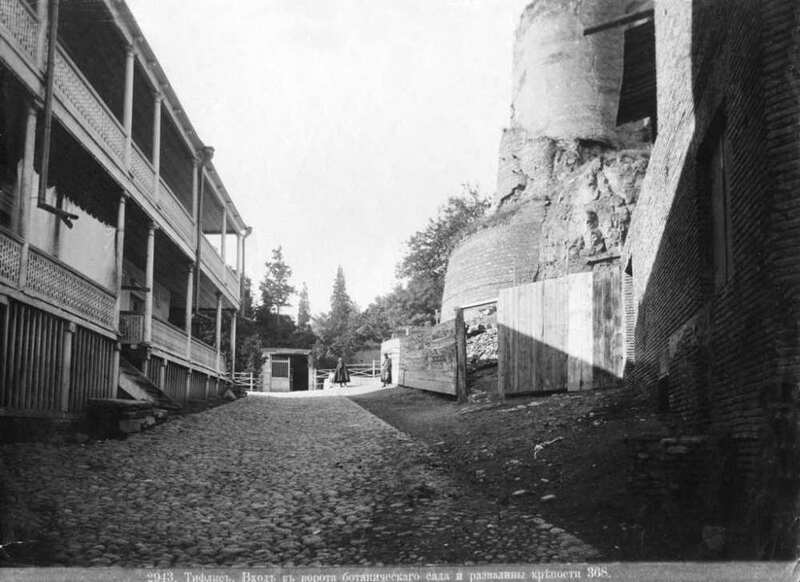 There is another entrance at Narikala that can be reached by using the aerial tramway that connects Rike Park to Narikala Fortress. 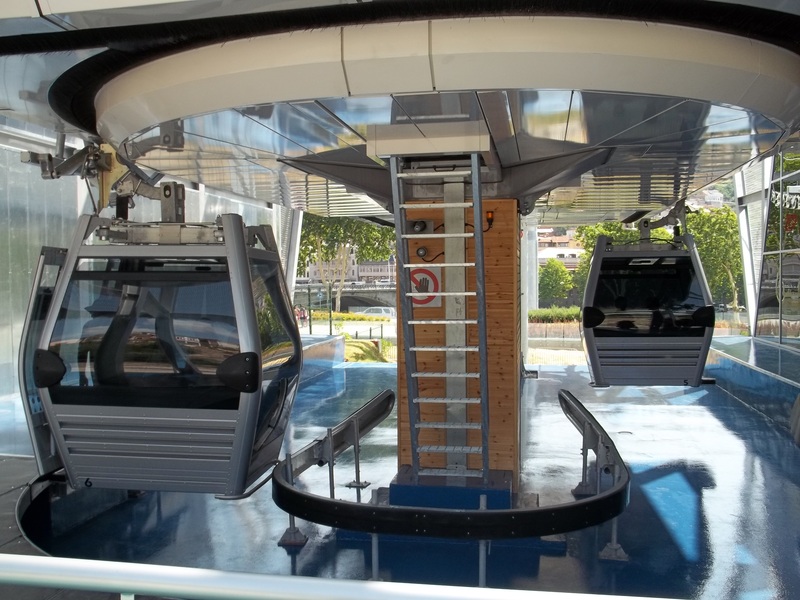 The tramway crosses the Mtkvari river, providing superb views of Tbilisi and especially the Old Town. 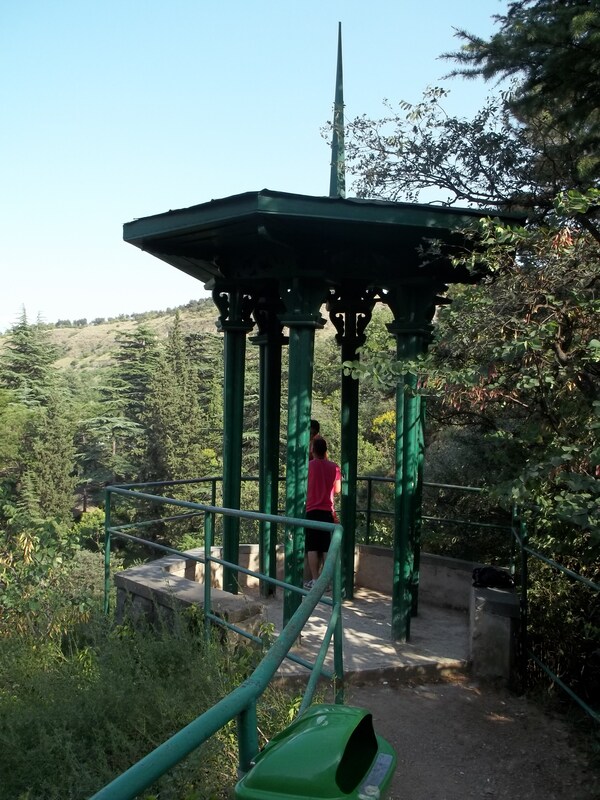 The journey takes 2 minutes and steps leading down to the Garden are just outside the aerial tramway terminus at Narikala. Georgia About recommends a visit to the beautiful National Botanical Garden of Georgia! Beautiful! Yet another place on my list for when I visit Georgia someday. Georgia is waiting for you Shary! A truly fascinating place of great beauty – is the unemployment low or high; how does the average citizen fair. It’s so nice to see so much forward thinking regarding urban design. Love it. Much of Georgia is still rural and people in the countryside rely on agriculture for their livelihoods. Brings back too many memories. My school was in a close proximity to these Gardens, and as kids we used to smoke cigarettes there whenever we skipped classes. Thee is also a long and steep “secret” staircase leading all the way up from the former Engelsis qucha (Engels street – not sure what it’s been renamed to now) – the one we always used to get there..
Wow, these photos are amazing. Such a natural preserve. Sigh. Great snaps of the botanical garden. 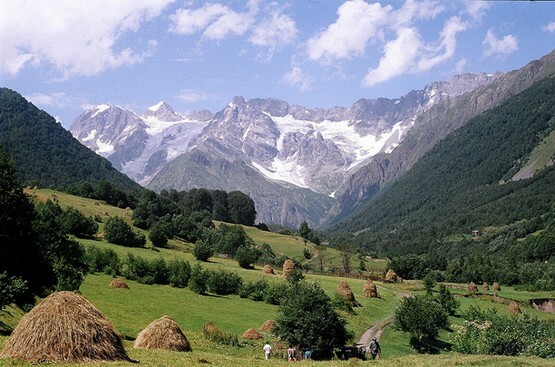 Georgia is truly one of the most beautiful places in the caucasus. Hope peace will bring in more visitors in this beautiful country.